Continuing my series of interviews with Novel Spaces bloggers, I introduce today Liane Spicer, author of Café au Lait (Leisure Books). This romance novel, Liane’s first, is set in Trinidad and Tobago, Liane’s home. 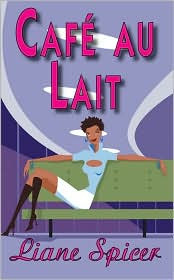 Welcome, Liane, and congratulations on publication of Café au Lait! Thank you, Shauna. It’s a pleasure to be here. How did coming from a small country affect your ability to learn about the business of writing and to find an agent and a publisher? I started learning about the business via writing magazines and articles in Writers Market, then graduated to doing most research online. My location in the Caribbean initially lengthened the querying and submission process; I had to snail mail everything and include arcane stuff such as international mailing coupons, which were something of a PITA for those on the receiving end. Now that many agents and publishers accept queries online, my location is not an issue. I found my current agent, Susan Schulman, days after I began e-mailing agent queries. Trinidad and Tobago are such beautiful and—for some of us—exotic places to read about. Did you start Café au Lait with the setting first? I believe I did. There was no question that my first book would be set on the islands. I pre-selected locations for pivotal scenes and when I was ready to write I sketched an outline and made character notes. The story more or less wrote itself from there on. With such an appealing setting, did you have trouble keeping it from overwhelming the story? How did you balance the readers’ desire to vicariously enjoy these tropical islands with their desire for a satisfying romance? It was quite a balancing act because I’m very passionate about the physical beauty of my homeland! Every reviewer to date has enthused over my handling of the setting so I think I managed to succeed in conveying the imagery without overwhelming. How did you become interested in writing romance? What other genres are you interested in writing? Gerald Durrell, whose obsession with ecology and conservation helped set the naturalist in me on fire from my childhood. D.H. Lawrence for his unflinching exploration of emotion and sensuality. Ayn Rand for the power of her reasoning. Marilyn French for her focus on the female perspective. Shakespeare for his unparalleled facility with language and understanding of the human condition. Erma Bombeck and Dave Barry for showcasing the humor in the ordinary. Are there certain themes or topics you’re drawn to write about? Foremost are environmental themes. I’ve been reading about the so-called “eco-thriller” subgenre and that got me thinking of pioneering an “eco-romance” subgenre. Ambiguity is a theme that I enjoy exploring—all the shades of gray that continue to baffle me. Paradox, pain and pleasure, love, hatred and betrayal all wrapped in one package—these complexities continue to fascinate and perplex me, so I write about them. I’m really, really bad at maintaining a regimen. I used to work late at night when the household was asleep but now that I have a day job again that isn’t practical. I’ve started scheduling two hours in the evening for writing and not allowing anything to get in the way. My only recommendation to aspiring authors would be to find a routine that works for them, rather than to try and adopt anyone else’s. Focus on writing your story and make it the best that it can possibly be before even thinking of sending it out. Stop talking about it; talking dissipates the energy and tension that should go into the process of creating a novel. My agent submitted my second romance to the publisher this week, and I have to decide now whether I want to work on the memoir or the mainstream novel that are partially written or to begin a new romance. Thanks, Liane, for talking about your work, and best wishes on your writing. Shauna, thank you for having me. Congratulations on your brand-new release! I’m looking forward to reading Like Mayflies in a Stream. 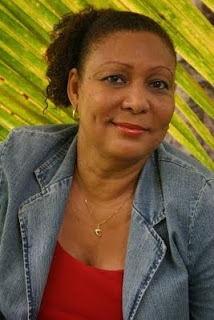 You can learn more about Liane and Café au Lait at her combination Website and blog at http://www.lianespicer.com/. Café au Lait is available at your local bookstore as well as online at Amazon.com, Barnes & Noble, and Borders. Shauna, thank you for having me! Here's wishing you go from strength to strength in your writing career! Great post - thanks both of you. I look forward to reading Liane's next book too. STEVE, CHRIS H, and DEBS, thanks for visiting and taking the time to comment. Shauna Roberts, interesting blog and it's worth writing. Steve, thank you for visiting. Debs, so good of you to come over and read yet another of my interviews. Thanks muchly! :) I'll be sure to let you know when #2 comes out. akalol, thanks for all your support. If you do write that book you know you already have a fan in me! Great interview! I'm so glad I clicked through one of your comments on a loop to check out your blog. Liane's thoughtful responses make me want to read her work. Jamie, thank you for dropping by! I love books where the setting becomes a character in the novel. Liane, it sounds like that is the case with your book. Shauna, thanks for another great interview. AKALOL, I'm glad you dropped by and hope you start that novel. LIANE, it was fun having you here. JAMIE, I'm happy you enjoyed the interview and getting to know a little about Liane. RAE ANN, I love books heavy in setting, too.